Current members of the lab. Ginny Greenway received a Bachelors degree in Biological Sciences from the University of Oxford in 2013, before undertaking a PhD at the University of St Andrews in Scotland. Whilst there, she focused on the causes and evolutionary consequences of high rates of reproductive failure in lygaeid seed bugs. 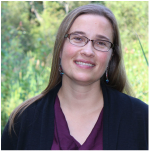 She joined the Miller Lab in 2017, and over the course of her postdoc she will investigate determinants of reproductive success and failure in coreids. Lauren joined the lab in 2014 and completed her M.S. degree in the summer of 2016. Lauren received a UF Graduate Fellowship to continue on in the lab for her Ph.D. Lauren has collected valuable field data on our main lab study species, has taken the lead on a science education publication, and is studying factors influencing female mate choice. Before starting graduate school, Lauren served as a secondary science teacher for eight years. Zach joined us in 2014 as a Biology Ph.D. student, co-advised with Colette St. Mary. Zach is fascinated by the interaction between natural selection and sexual selection. He is specifically examining how autotomy, the ability to drop limbs, influences, and is influenced by, sexual selection. In the summer of 2016 Zach participated in the East Asia and Pacific Summer Institutes for US Graduate Students, traveling to Singapore to work with Daiqin Li. Zach later received the UF Research Abroad for Graduate Students Award, traveling to Australia in 2017 to work with Philip W. Bateman. Daniela joined the lab as a M.S. student in 2017. She completed her undergraduate degree at the University of Alaska Fairbanks. She was formerly a field research technician on the Kluane Red Squirrel Project in British Columbia, an intern at the Smithsonian Conservation Biology Institute, and a REU student in Peru. Daniela is fluent in French, English, and Spanish. In the Miller Lab, Daniela will focus on understanding the influence of diet on the development of male weaponry and male-male competition. Sara completed her M.S. at Purdue University in 2018 and joined us immediately thereafter as a research technician for Summer 2018. Sara is working on phenotypic plasticity and evolution in the mouthparts of insects. Her work will help us understand, for example, how some invasive insect species are able to make use of a wide variety of plant species during the processes of invasion.